Whether you are in the workplace, with friends or at home, more than ever complicated and controversial conversations surround us. 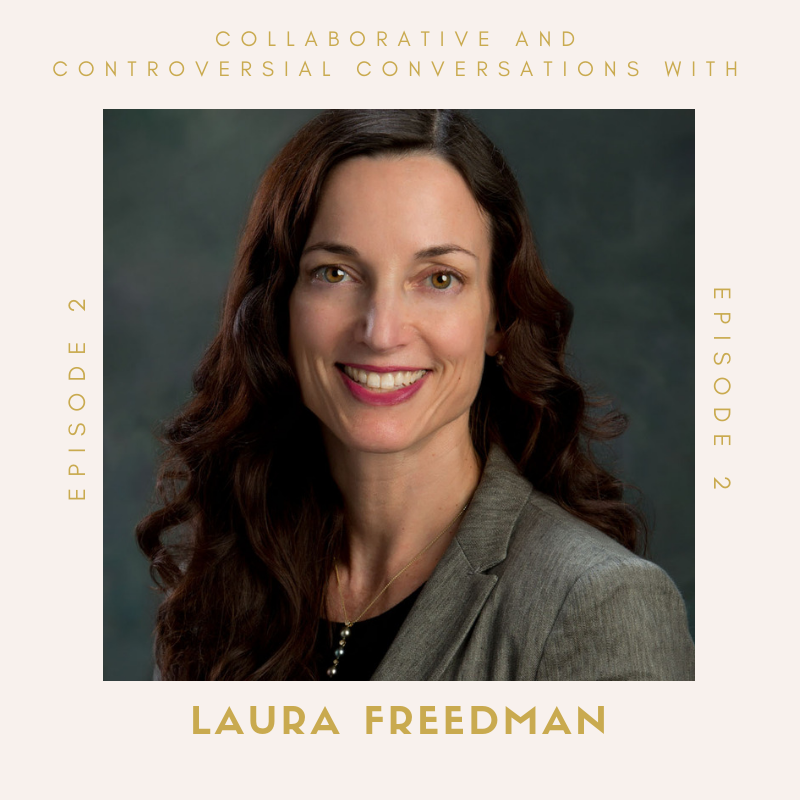 Today on Brava I am honored to have Laura Freedman. Laura is a public speaker and financial advisor. Prior to her role as a financial and investment advisor, she was a Senior Human Resource Executive for a Fortune 500 company and an Executive Consultant. Laura brings over 25 years of experience advising leaders on business strategy and mitigating risk. Tune in to listen to our conversation below! Laura has always been an early riser and I’ve always admired her self-discipline (1:12). She describes her career transition as a “dual-professional citizenship” because she spent her first half of her career in people strategy and then crossed-over to finance and investing. Now she finds that she is integrating both as a financial advisor as she specializes in executive transitions (1:50). It was when she was receiving her Executive MBA that she became fascinated by finance and how to make optimal decisions in the face of uncertainty (2:40). Upon completing her MBA, Laura’s daughter shared with her “Thank you. Now I know that I can do absolutely anything.” Laura encourages listeners to not lose sight of the positive ripple affect on the people who are closest to you (5:05). Laura believes that creating change requires collaboration with individuals who hold opposing views. When asked how this is possible, Laura shares that it’s cultivating humility and continuous learning in the conversation (6:12). She shares that "words can get in the way”. Rather than stating that there is an apparent issue (for instance unconscious bias) she speaks to the importance of instead defining the specific behaviors or observations (9:43). “What are your observations? What led you to this conclusion?” Laura talks to the importance of making someone’s thought-process transparent to lessen judgement (14:30). Humility and learning is just the start to mitigating and reducing tension but finding (and using) your voice is part of the equation too to influence the change that you want (16:50). On “Finding your Voice” Laura believes that clarity leads to strength in conversations (20:00). Laura is currently launching the Pittsburgh Women’s Alliance, the result of dynamic women that represent women professional groups, non-profits, and more that are coming together to help women advance and thrive. With the launch comes a free site with a master calendar so that women can help find impactful events happening in Pittsburgh. Check it out here: https://pghwomensalliance.org (24:00). Ready to make change in your own backyard? Laura shares that it doesn’t have to be big to be a meaningful difference. Starting the conversation and bringing women together are the first steps. (26:30). Want to keep listening? See our latest episode show notes here.